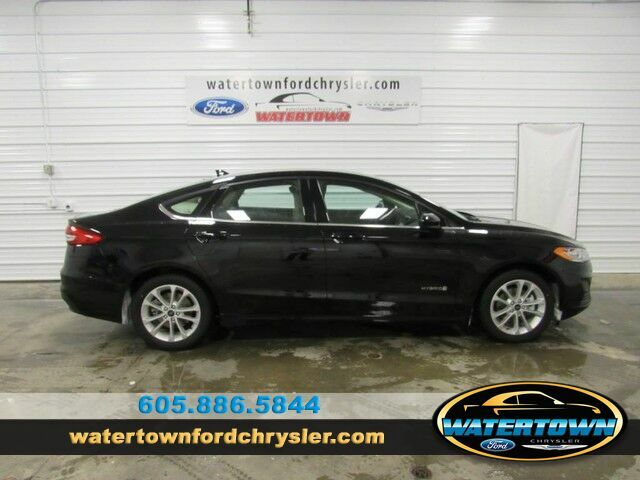 Contact Watertown Ford Chrysler today for information on dozens of vehicles like this 2019 Ford Fusion Hybrid SE. Stylish and fuel efficient. It's the perfect vehicle for keeping your fuel costs down and your driving enjoying up. You've found the one you've been looking for. Your dream car. You can finally stop searching... You've found the one you've been looking for. The Ford Fusion Hybrid SE will provide you with everything you have always wanted in a car -- Quality, Reliability, and Character.